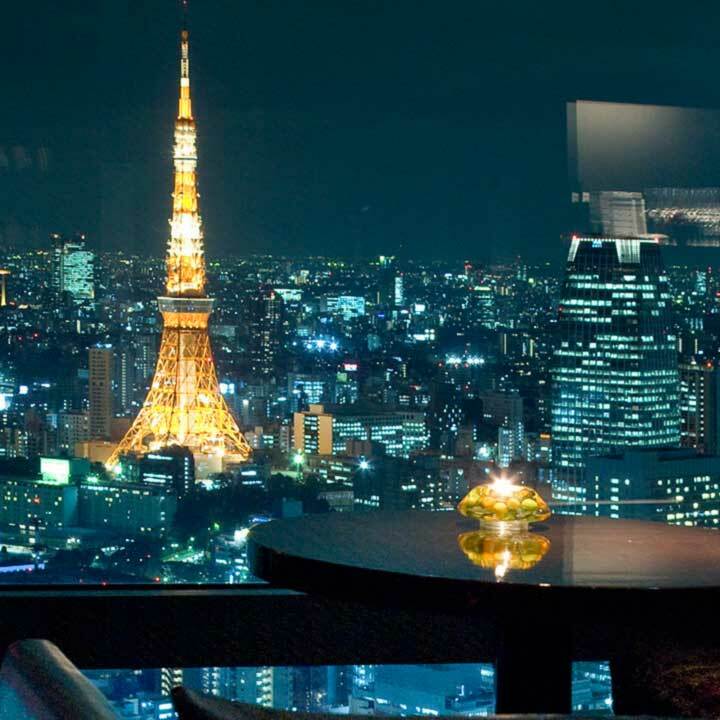 Where do you go when you want to have some fun talk and drinks with you friends in Tokyo? 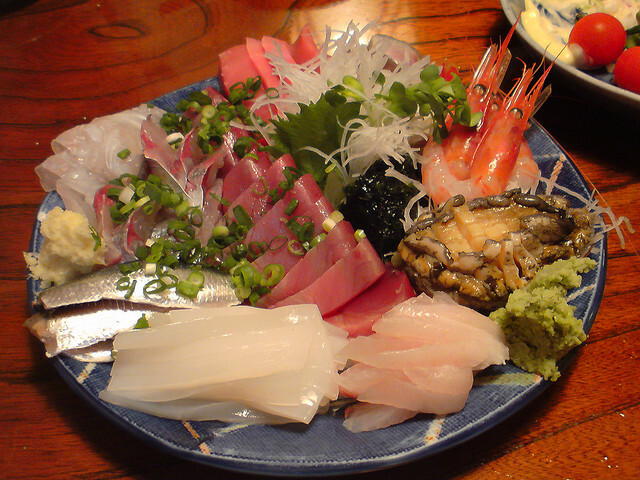 You go to an Izakaya which is you can find almost anywhere and can be adjusted to your needs regarding price and choice of food since there is so much variety in sorts of Izakaya`s you can find in Tokyo. An Izakaya basically is bar; the Japanese word consisting of the Chinese characters 居 (stay, inhabit) 酒　(alcohol) 屋　(house, shop). But often much more than a bar, it is much close to a restaurant, except that you order small dishes you can share with the group and of course, a great variety of alcoholic (but also non-alcoholic) drinks. 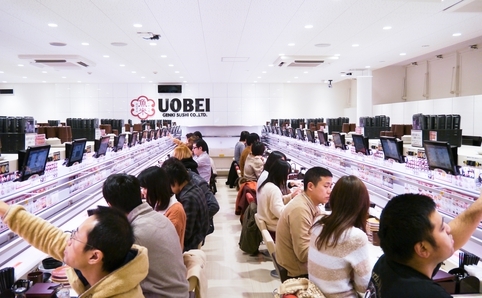 Often they provide an all-you-can-drink course for around 2000-3000 yen, including some small bites. 1. 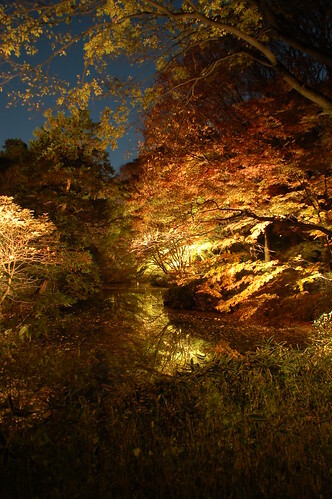 Because you can only experience this in Japan! In my own experience, an Izakaya is really something else. It is not exactly a bar, but not a restaurant either. 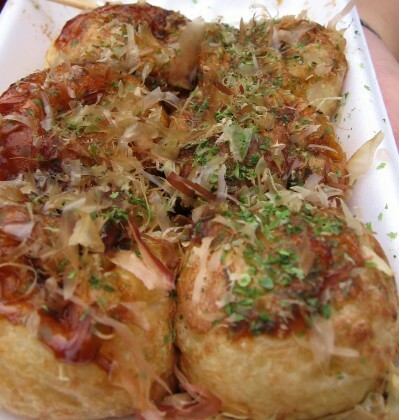 Usually the dishes they serve are of great variety and are just really delicious. 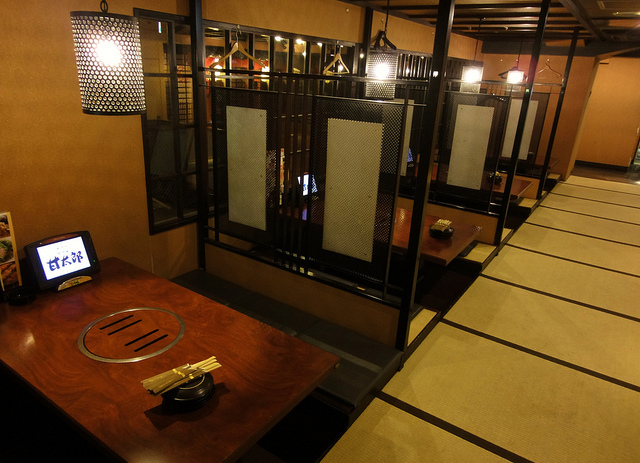 Most Izakaya`s have a Japanese-styled interior, with low tables where you sit on the ground with your feet in a "hole" in the ground. 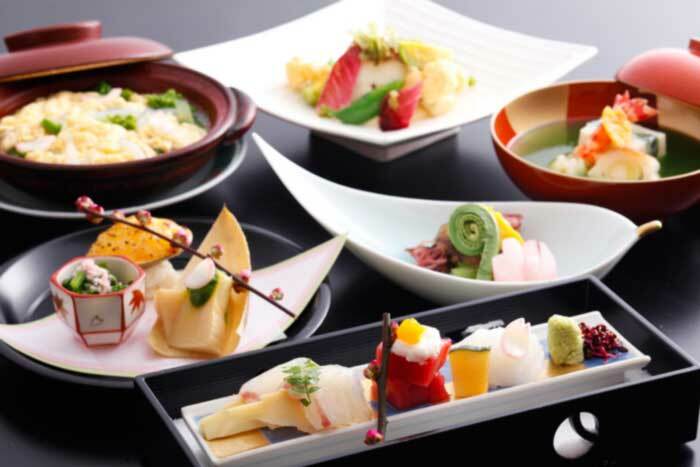 If you pick a really nice one, there might be waiters and waitresses dressed in traditional Japanese clothing. But wherever you go, you can almost always be guaranteed of excellent, Japanese service. 2. 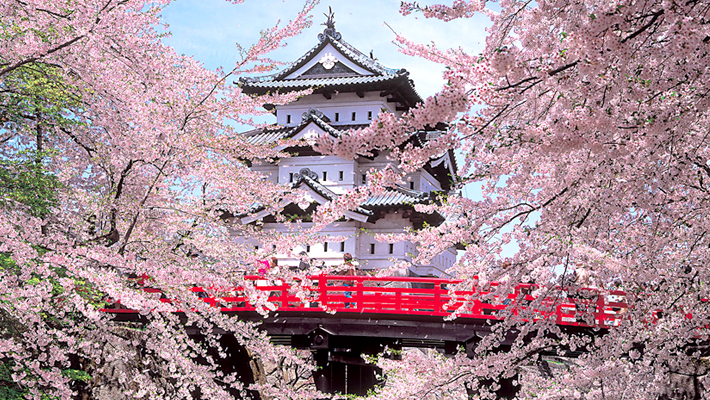 Because you will get to know more about Japanese culture! 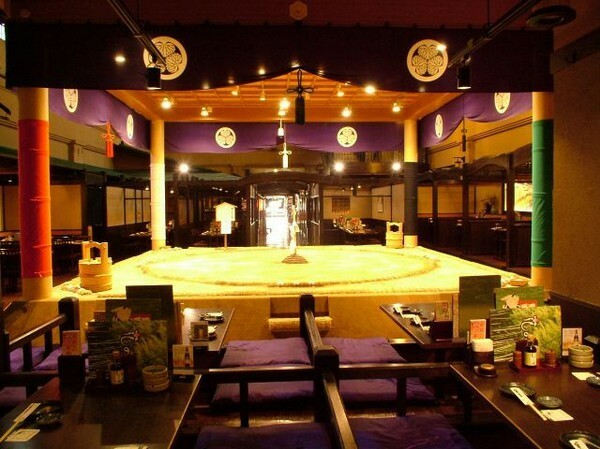 When I was studying at a university in Tokyo, I used to go to Izakaya`s at least once a week with people from my clubs and circles. After a long day at school and joining together in club activities, we would go to a nearby cheap Izakaya and have dinner with some (often too much for those people here who cannot handle alcohol that well, which is almost everyone here) drinks and laughs; always making sure to leave in time to catch the last train!! Even now, while I am not a student anymore, if I meet with friends, especially in larger groups where not everyone is familiar with each other, I often end up in some Izakaya. In big places such as Shibuya or Shinjuku there will be people walking outside, trying to get you into one of their bars. Actually, sometimes they do have great deals for you so if you are looking for a place to go with friends and you haven`t decided anything yet, it doesn`t hurt to listen to some of those stories and receive some flyers. If you want to be certain of what you are going to spend at an Izakaya, you an always go to the shop that reads 270円, where everything you order is, 270 yen. 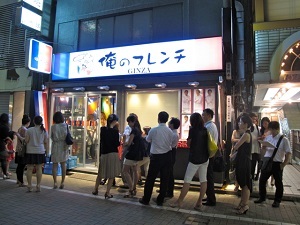 Which Izakaya can I go to? Some words that are important when going to an Izakaya!! 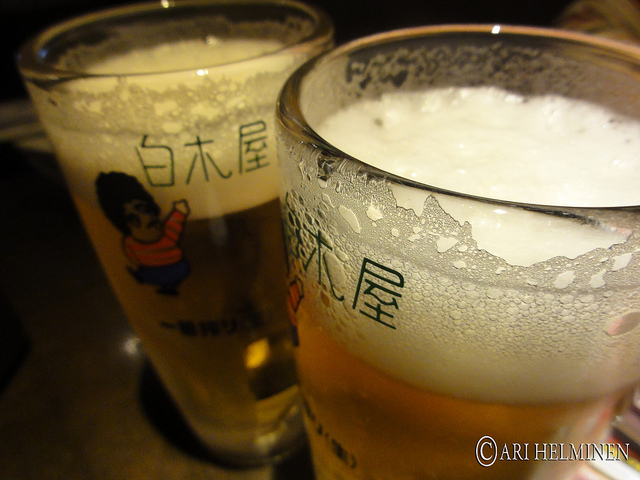 - 飲み放題　nomihoudai - All you can drink! - お冷　o-hiya - although you can say "mizu", which means water, usually this word is used when asking for water. Of course free of charge. - 日本酒　nihonshu - what we call "sake"